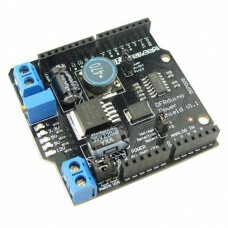 The Adjustable Power Supply Shield gives your Arduino the ability to manage the power to your robot. This unique Arduino shield provides the ability to supply power to other parts of your robot. 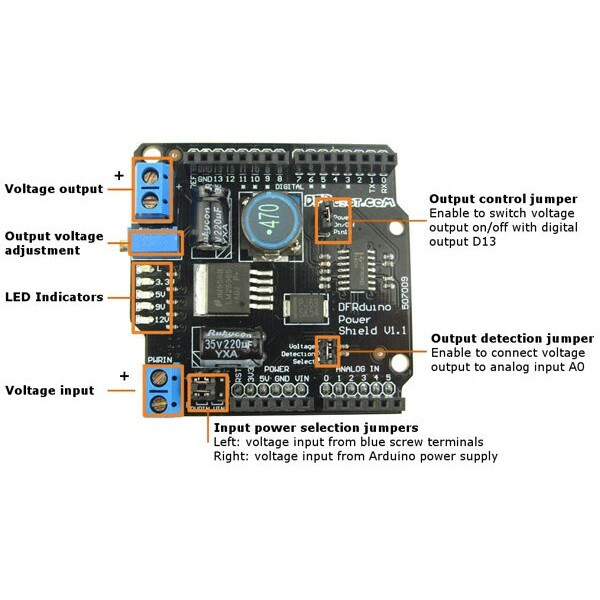 It features an adjustable voltage regulator that can be switched on and off by your Arduino and an analog output for monitoring the voltage level. 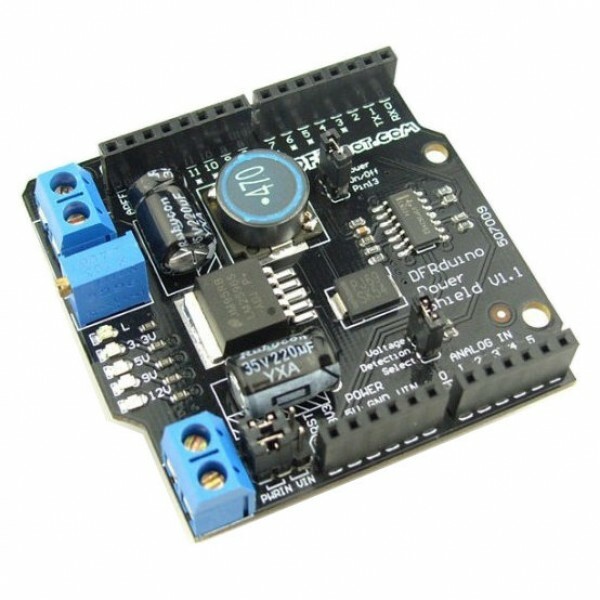 A jumper option enables the Arduino digital output D13 to switch the voltage output on and off. Another jumper enables the voltage output to be read by the Arduino analog input A0. Yet another jumper allows the voltage input to come from the Arduino power source or an external power supply provided via screw terminals. The output voltage can be adjusted from 1.25 V to the input voltage level by turning a small screw on the potentiometer. A set of 5 LED indicators display the rough output voltage at various increments. Use the Power Supply Shield to supply power to motor drivers, servos and other parts of your robot. Your Arduino microcontroller can then turn the heavy power consumers off when they are not needed.